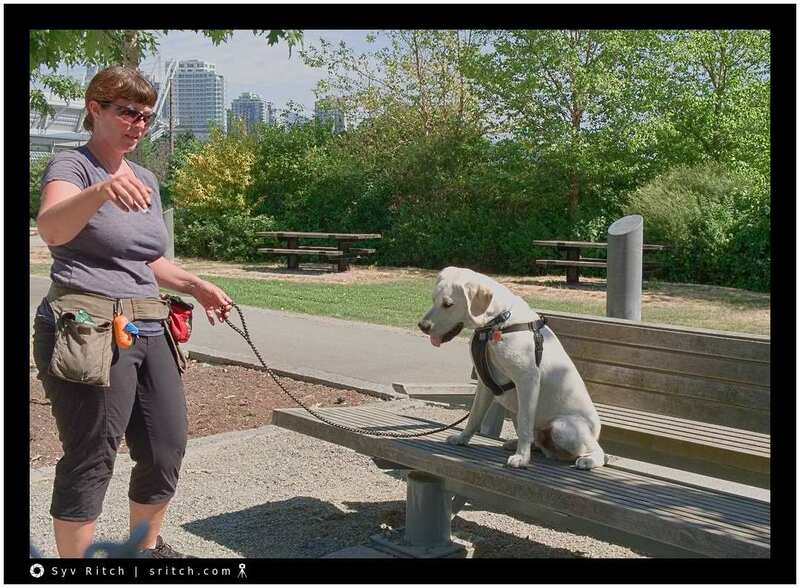 This lady is training her 8 month old puppy. She will give a weekly class in 2 weeks for puppies and younger dogs. Her puppy will be the example of how dogs do City Parkour. She even tried to sell me a class. When I told her that my dog is much too afraid for that, she immediately told me how good it would be for him. She didn’t seem to look at my dog that was doing his best to hide and disappear behind me. The problem with my dog is not that he can’t, he can’t jump up in anyway. His question is what if he does something and he’s wrong, will he be shot? According to what I understand, it’s what happened to his sister.